Children thrive on routine. By establishing scheduled study sessions, your child will become accustomed to studying at a certain time and be less likely to fall victim to distractions. Empower your child by allowing them to help create a study schedule — just make sure it’s not during a time when they might be hungry or tired. There’s no one-size-fits-all study strategy to which you should adhere because every child is different. 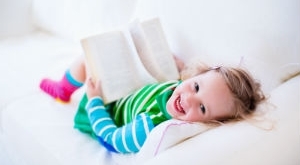 Some children may have trouble sitting still for long periods while others can study for hours without difficulty. If you find your child is fidgety during study sessions, schedule regular breaks. A fun way to let off steam is with a 5-minute dance break set to your child’s favorite song. Your child sits down to study, but the next thing you know they’re up from their seat looking for needed supplies. To save time and keep your youngster focused on the task at hand, equip their study space with everything they might need. Notebooks, pencils, pens, rulers and colorful highlighters are items you’ll want to have at the ready before study sessions begin. Read Smart is a reading center that gives elementary students an advantage, offering reading tutor programs for Pre-K to 6th Grade students in a caring, fun environment designed with your child’s success in mind. 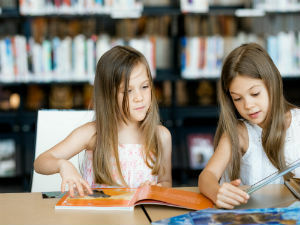 Our experienced Elementary Education teachers give your child the reading help they need to take their skills to the next level. Call today to schedule your free reading evaluation!